This project has been combined with plans to extend the Crystal City Potomac Yard Transitway from 18th Street South and Crystal Drive to 12th Street South and South Hayes Street. Concept planning is underway for the Transitway extension, bringing it to the same level of design (30%) as this 12th Street segment. At that time, we will present the 30% plans for the entire corridor to the public for additional comments and questions. For more information on both projects, sign up for our email list (use the sign-up box on the right) and check back on this page as we move the design forward. The 12th Street South Complete Street Project will create the street cross-section on 12th Street called for in the Crystal City Sector Plan. The design includes the standard Sector Plan streetscape with landscaping, sidewalks, pedestrian ramps and streetlights. 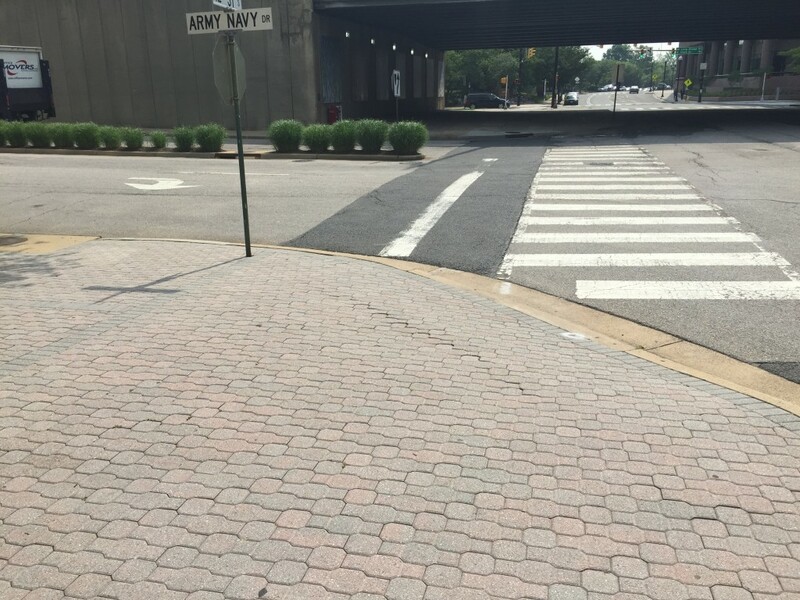 Pedestrian improvements will include new north/south crosswalks at Army Navy Drive. This project will help expand the Crystal City Potomac Yard Transitway to Pentagon City by creating center-running transit-only lanes on this section of 12th Street. No new Transitway stations are included in this block of the extension, which will be located west of South Eads Street. 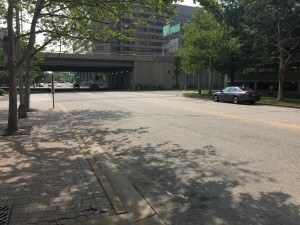 The project is also incorporating a two-way cycle facility under the Route 1 bridge. 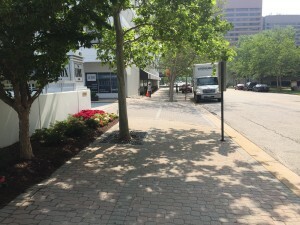 This will link a future two-way Cycletrack planned for Army Navy Drive to a planned two-way bike lane along South Bell Street heading toward the Crystal City Metro Station. This cycle facility will provide a bike link to Long Bridge Drive. A presentation of the 30% design plans was held on April 5, 2017, in Crystal City. 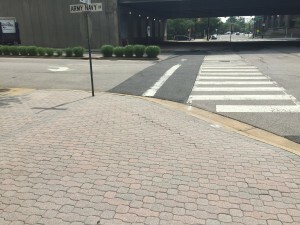 This project was made possible by a $2.1 million grant from the Northern Virginia Transportation Authority. NVTA is responsible for long-range planning, prioritization and funding of regional transportation projects in Northern Virginia. The total project cost is estimated at $2.35 million. Funding comes from the NVTA and an Arlington fund dedicated to infrastructure investment in Crystal City.